This special invitation is brought to you by Suples Bulgarian Bag Pro Instructor, Kettlebell World Champion, and Kettlebell Master of Sport Mike Salemi. Mike will be coming to New York to teach a one day certification course on the Bulgarian Bag. This course is perfect for any UFC Gym one-on-one trainer and/or group instructor looking to enhance their skill and knowledge with this versatile, group friendly training tool. Walk away with over 60 exercises, workouts, progressions/regressions and more that you can use immediately in your own training and with your clients. I strongly believe that in the coming years, the Bulgarian Bag will be considered the "new kettlebell" and those who learn to use it properly will set themselves up as truly a leader in the conditioning realm. 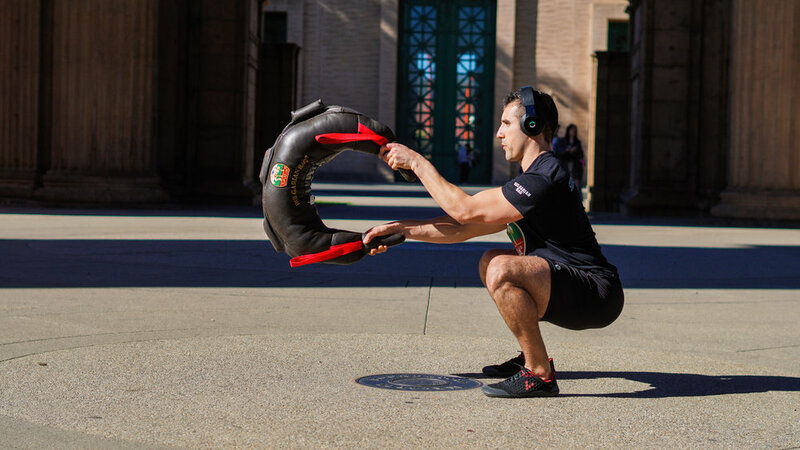 The Bulgarian Bag was developed by former Bulgarian Olympian and US Olympic Greco Roman Wrestling Coach, Ivan Ivanov. Ivan designed the bag over 10 years ago so that he could have a training tool perfect for building a strong team atmosphere, high levels of conditioning for his wrestlers, and something that was incredibly fun and varied in its application, both on and off the mats! Learn the proper techniques and how to execute Suples' four major dynamic exercises and muscle targeted exercises. Learn how to progress and regress exercises for all levels of fitness. Categorize movements such as Spinning, Snatching and/or Throwing and design workouts to maximize carryover to many sports or activities. CEUS: NASM 0.8, AFAA 8.25 and NSCA 0.9. Pre-order Bags (email Mike@mikesalemi.io), or purchase at the event.